Twenty-four of the 98 cities selected are capital cities, while 8 have population of 1 lakh or below. UP, Tamil Nadu and Maharashtra have got maximum nominations. 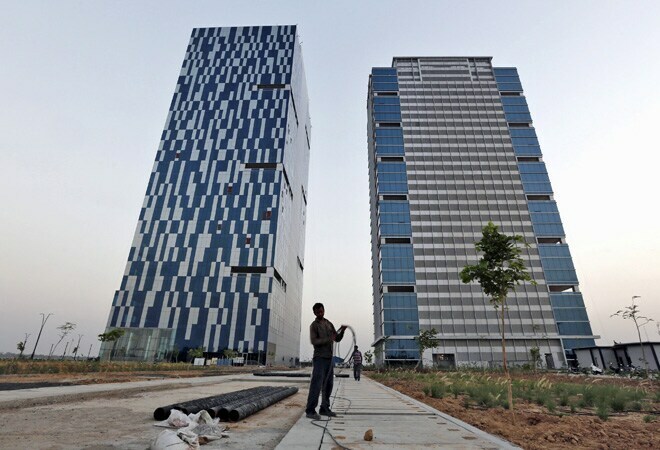 The Centre on Thursday announced the names of 98 cities selected for the Modi government's flagship smart cities project but Mumbai, Bengaluru and Patna don't figure in the list. The names of the cities selected for the Rs 48,000 crore smart city project was released by the Centre pending a nomination each from Uttar Pradesh and Jammu and Kashmir. Earlier, Prime Minister Narendra Modi has launched the ambitious project with announcement of criteria and guidelines for 100 smart cities to be selected through city challenge competition in June 25. While Jammu and Kashmir has to nominate one city, UP has got slots for 13 cities to be proposed as Smart City based on the urban population and number of notified cities. "The Government of Jammu and Kashmir sought more time to firm up their choice. More information is sought from the Uttar Pradesh government about the 13th smart city that is yet to be announced," Urban Development Minister M Venkaiah Naidu said here after releasing the list here. According to Urban Development Ministry sources, Jammu and Kashmir wants both Jammu and Srinagar to be developed as smart city though the state has got only one slot in the project. Both Meerut and Rae Bareli has got equal points for the 13th slot in the city challenge competition in UP so now the state has to decide whom it wants to nominate, sources added. Asked when the names of the remaining two cities will be decided, Naidu said it will be decided in due course. Lucknow, Varanasi, Agra, Bareilly, Aligarh, Jhansi, Sharanpur are among 12 cities selected in UP for the smart city project. However, Patna and Bangaluru and Mumbai are not in the list. "It is the states which has sent the names of the cities to be included in the project. Names of Patna and Bangalore were not proposed by their respective states. As far as Mumbai is concerned, Maharashtra has proposed Navi Mumbai for that purpose," Naidu said. While UP has maximum of 13 cities, followed by 12 by Tamil Nadu and 10 by Maharashtra to be developed as smart cities, Madhya Pradesh has seven cities in the project. Karnataka and Gujarat have six cities each while Bihar and Andhra has three each and rest of the states have two and one cities respectively in the project. Moradabad, Solapur, Amritsar, Rourkela, Durgapur and Ajmer also figure in the list of 98 cities. The next stage is the choosing 20 cities in the first lot by end of the year and the next two years 40 cities each will be selected for receiving Central funding of Rs 500 crore spread over the coming five years. Naidu said "The first stage of competition was entirely conducted by the States and UTs only with little role for the Union Urban Development Ministry." Centre will release Rs 2 crore for each of the 98 cities in the next couple of days for preparation of smart city plans. Our ministry has drawn up region wise panels of reputed agencies for assisting the cities to prepare smart city plans, he said. For the selection of 20 cities, the broad criteria will be city vision and strategy, cost effectiveness, credibility of implementation and innovation. Naidu said those cities which are not selected in the first round can again participate in the second and third round by improving their performances. Even states can nominate new names after elimination of some cities in the final round of selection, he said.